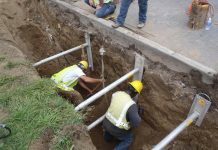 Call 636-660-7467 :: Experts in trench shoring and excavation projects. Quickly complete any job while meeting OSHA safety regulations. 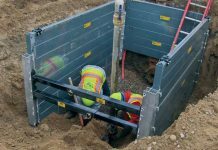 Trench shields & shoring equipment rental. Luby Shoring was established in 2015 by Steve Luby. He grew up with construction equipment, spending summers helping in the parts department at his family’s business, Luby Equipment Services. Steve continued working in the industry and was a part of senior management in Luby Equipment’s sales department until he saw the need for expanding the shoring business.